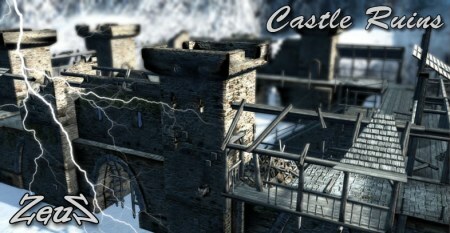 Description: This pack contains a Castle Ruins model mesh. 43k triangles. Complete Castle Ruins is made with only 2 ATLASED TEXTURES.